February | 2015 | I run. Quite a lot. It makes me happy. 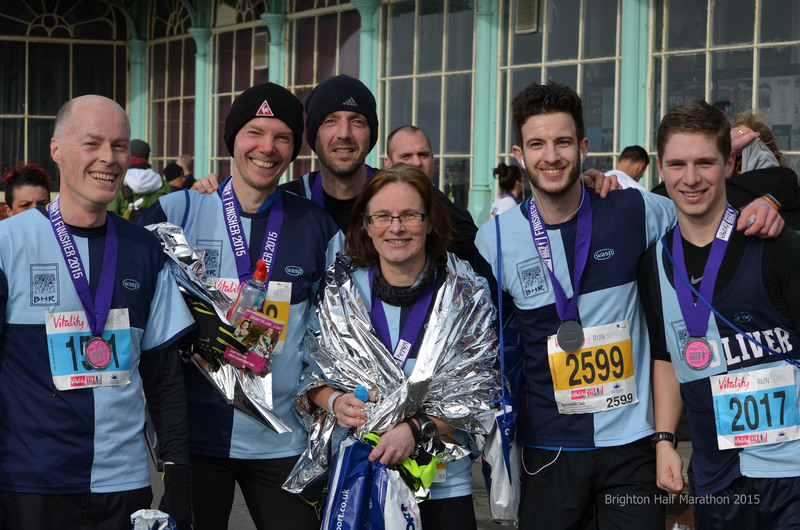 Sunday 22nd of February was the 25th anniversary of the Brighton Half Marathon. 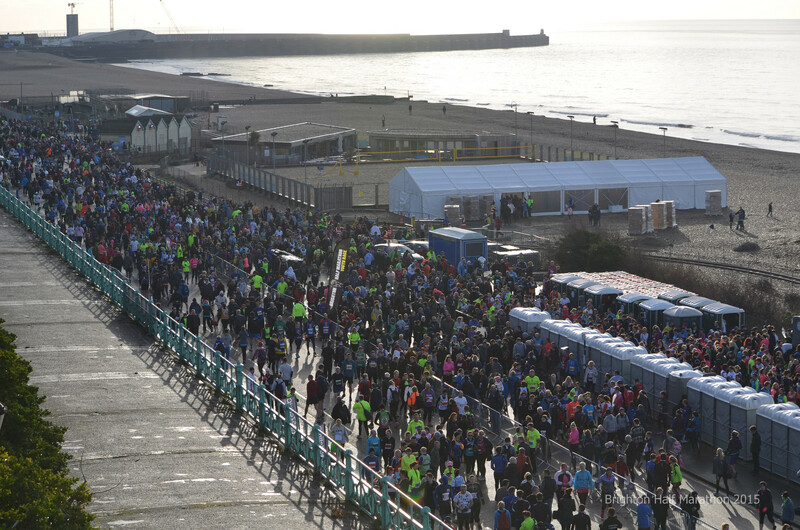 Over 7,500 runners completed the course this year. I understand that 200 took part in the first one. Quite amazing really. This type of mass participation event on concrete is the type of event that I have been avoiding and will avoid in general in the future. 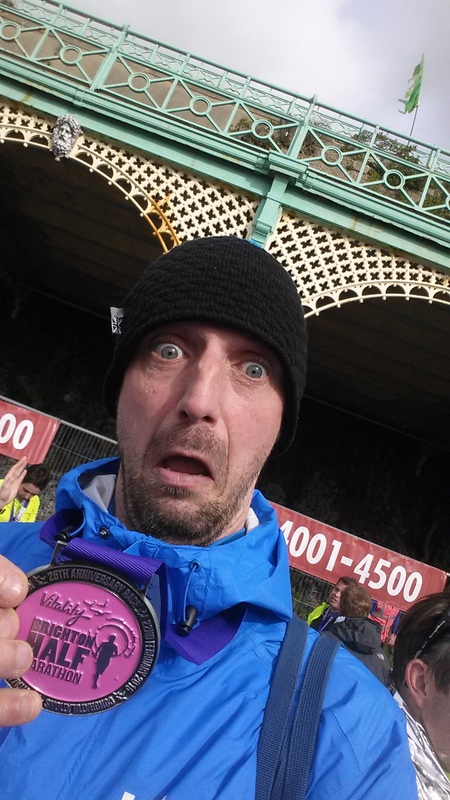 However, the chance to run this event came up and given the recent PB’s in the Dark Star Ultra and at Clair parkrun, I decided that my half marathon best was definitely up for grabs. The day was perfect for running. Slightly chilly and next to no wind, which is the best that you can hope for in February in this country. Luckily, the storm that arrived about 4pm didn’t arrive in the morning. It would have been a totally different story if that had happened. 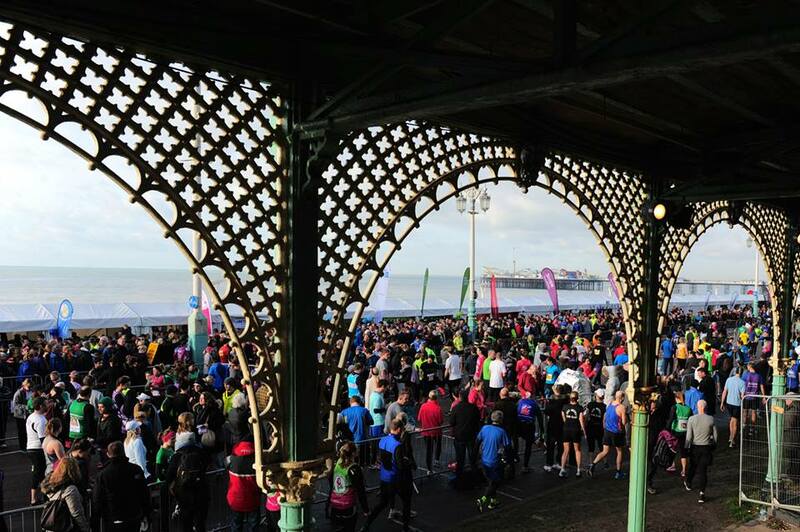 The half marathon PB that was there to be broken was set last October in Bexhill at 1.47. 21. Conditions weren’t ideal on that day and we had to wade through stones on the promenade, so I was very confident that this time would fall. The start of the event was very crowded. You need to be there early to drop your bags and get yourself into the right area. One of the big downsides to this type of event is the start. Many people are in the wrong area and you can’t really get into a rhythm until about 10 minutes in. I was even tripped, which is the first time that has happened for a long while. Luckily there was no damage to me or the person in front who I hit as well. There was a plan. Every race has a plan now. I can’t see the point if not. 5 minutes kilometres would guarantee a PB. 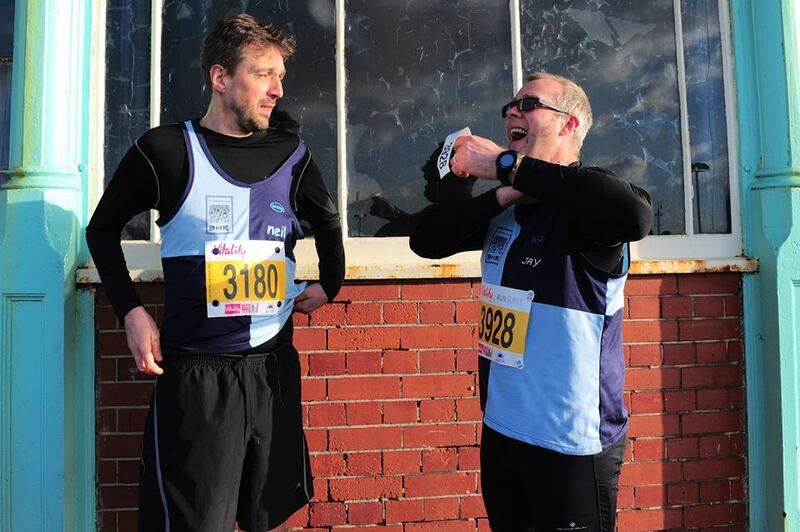 The plan was to stick to 5 minute km’s for the first half of the race and then re-assess at that stage. I would speed up if possible and hang on in there if necessary. It was tough to slow myself down at times, especially on the downhill section back to the sea life centre. So I got to the 12 km mark and every km had been between 4.59 and 4.55. Everything was good, the foundations had been laid, so it was time to kick on and see what happens. Each km from there to the end was between 4.52 and 4.39. 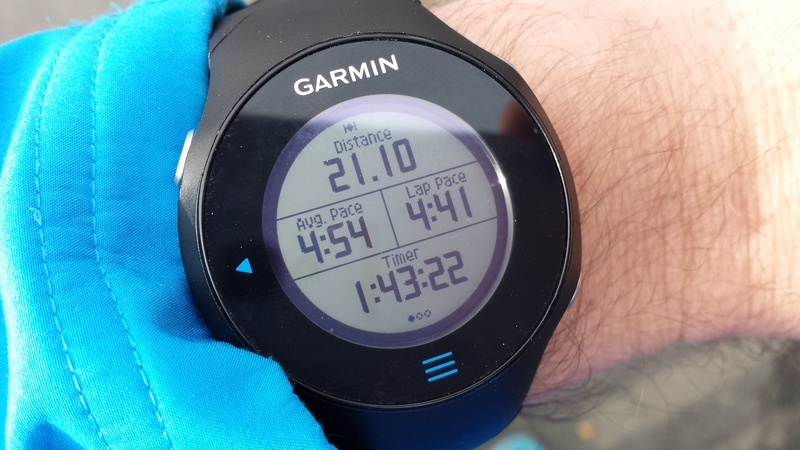 The quickest km was the last one, which is always pleasing (although it was mainly downhill). I am now a real Strava convert and according to their stats, this was my quickest ever 10 miles and my 3rd fastest 10k ever. To say that I am pleased is a huge understatement. I did a very good job of hiding it in these photos, but that’s the fault of my face. I can’t help it. I’m loving it inside. I think that there are a few reasons why this improvement has happened. On the actual running side of things, I have changed the way that I train. There is no wasted time. I do 4 sessions each week. My own interval session, an interval session with the club, a shorter speed session (Clair parkrun when possible) and a longer weekend session. Each has a purpose and there are no sessions that involve just dawdling around the village for an hour. There are some more improvements to be made and I will take care of these over the coming months. On race day, there is a plan. If you’re going to tackle a race with any sort of confidence and goal, there has to be a plan, a plan that is achievable. 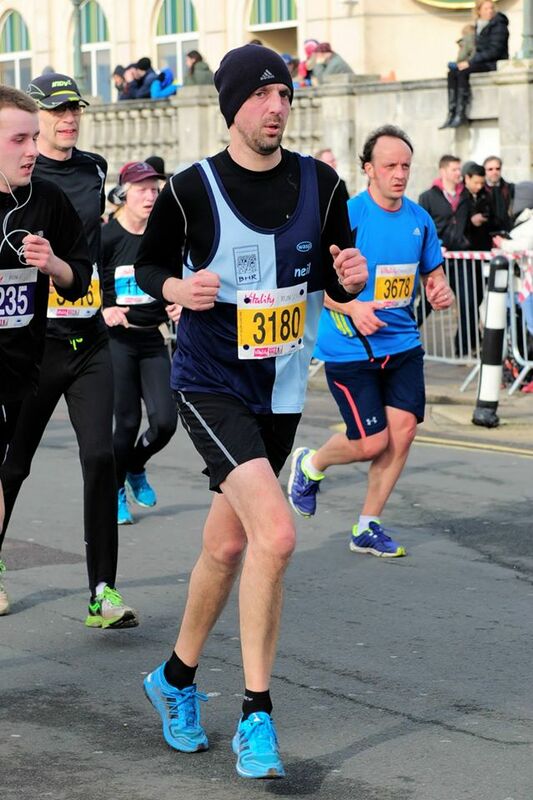 When you have made the plan, you need to carry it out and not think that you’re Mo Farah, just because you feel good in the first quarter of the race. The difference in getting a PB and not can often be decided in the last quarter, especially if you go off too quickly. I am also remaining very much aware of some of the points being drilled into us by the coaches and what I learned in the LiRF course. The most important being to remaining upright (helium balloon on the head) and make sure that everything is pointing forward and driving forward. There were some huge performances from the Burgess Hill Runners team. More PB’s than not. This is a real testament to the coaches who have helped to guide and encourage us. So that’s a perfect start to 2015. Nearly an hour off my previous Dark Star time. A new PB at Clair parkrun, which had stood for 18 months and a new half marathon PB. Next up, the Moyleman Marathon. 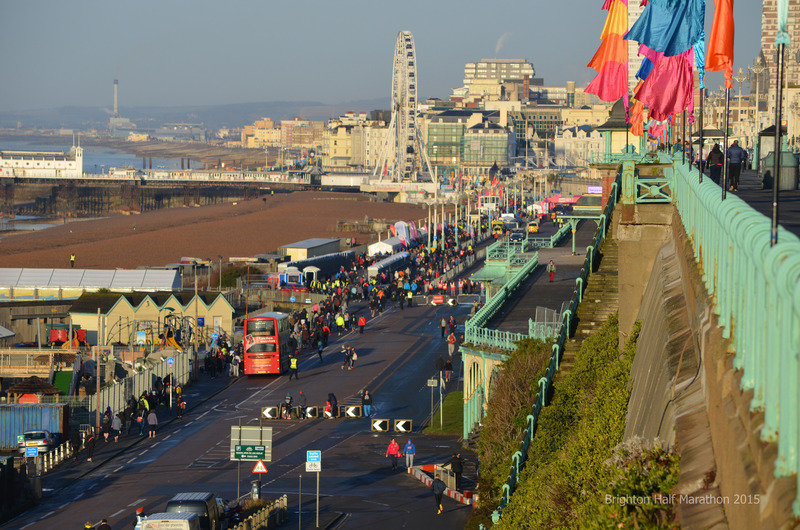 A new trail marathon for Sussex. Really looking forward to this new challenge.